Pachon's oscillometer, in wooden case, c 1930s. An oscillometer is a medical instrument used to measure oscillations in the bloodstream, particularly oscillations in blood pressure. 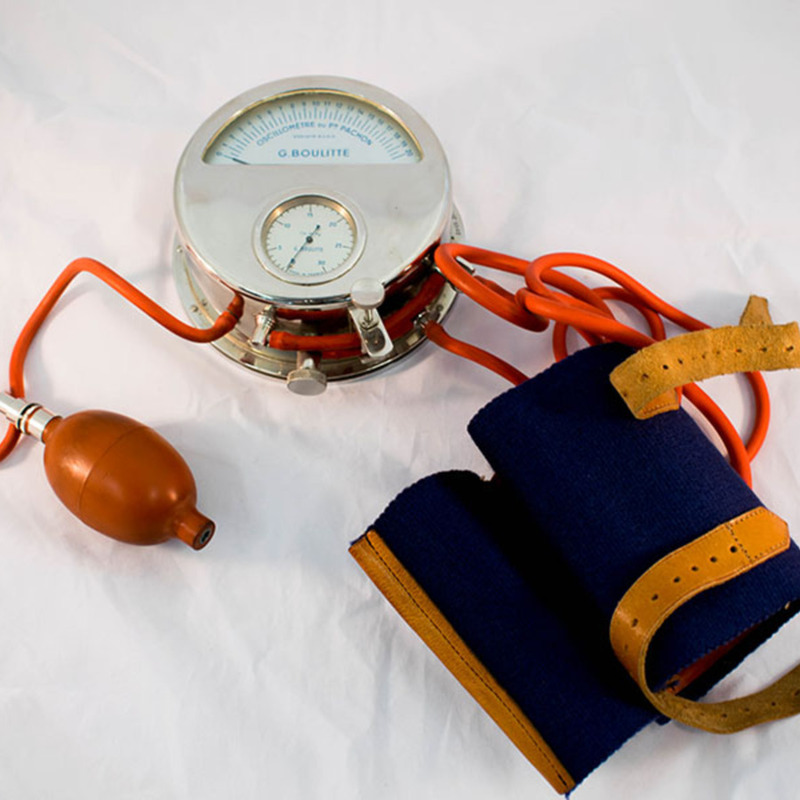 The arm band is placed over the patient's arm and pumped with air to measure the pressure of blood. 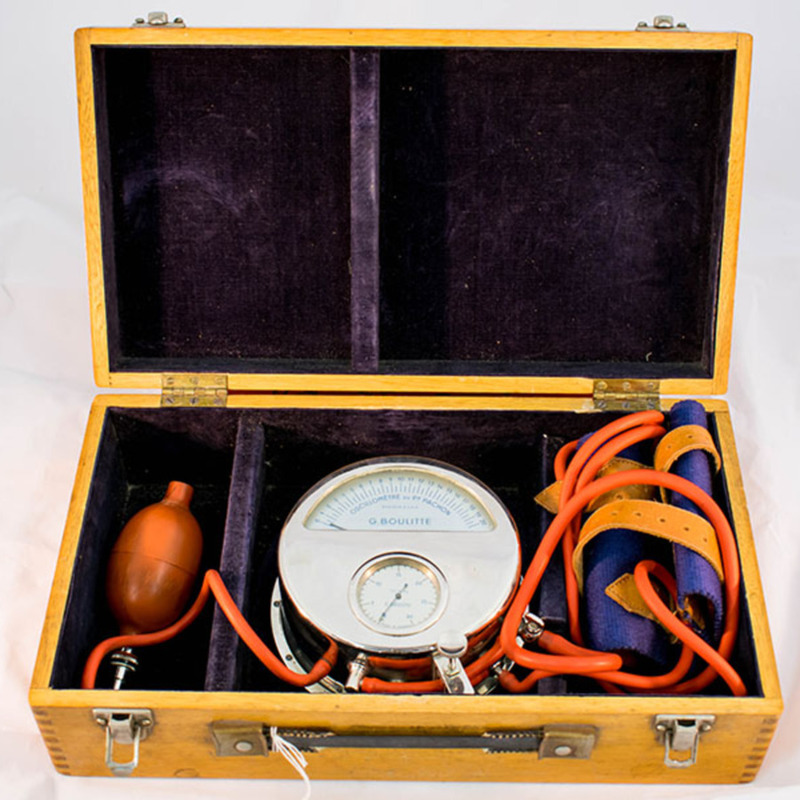 G. Boulitte; early 20th century; Medical device maker, “Pachon Oscillometer,” Heritage, accessed April 20, 2019, https://heritage.rcpsg.ac.uk/items/show/91. 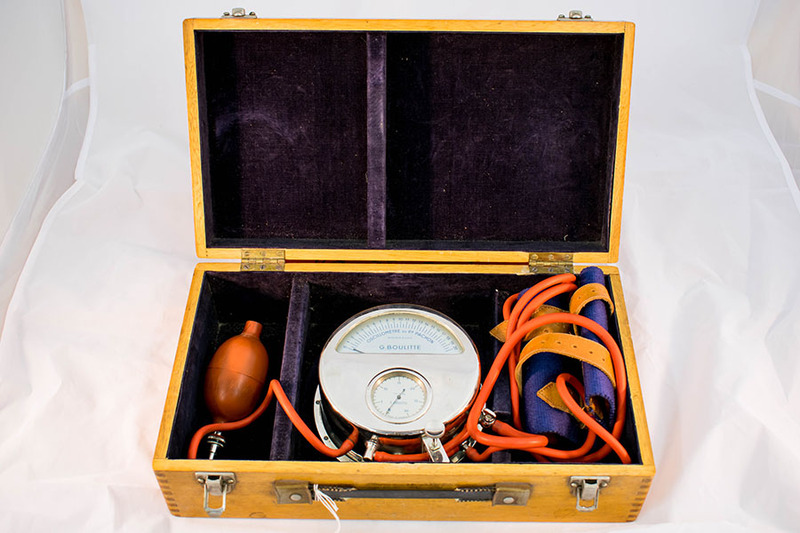 Description: Pachon's oscillometer, in wooden case, c 1930s. An oscillometer is a medical instrument used to measure oscillations in the bloodstream, particularly oscillations in blood pressure. 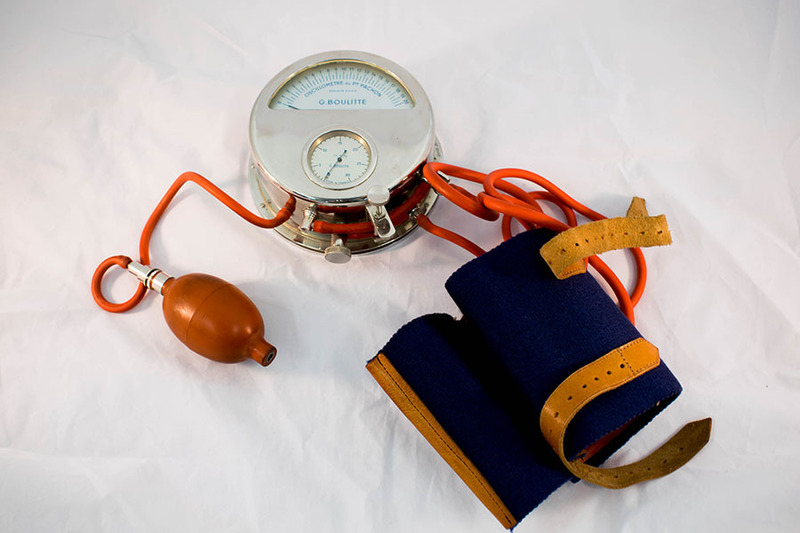 The arm band is placed over the patient's arm and pumped with air to measure the pressure of blood.